Is for those who want to pass their driving test quickly. Get on the road fast by increasing the speed of your driving lessons with Edwards School of Motoring. Edwards School of Motoring are intensive driving course specialists and only provide intensive driving lessons in the West Country area. Our intensive driving course (crash course) covering Yeovil, Taunton, Bridgwater and the West Country area is a specially designed driving course, incorporating over 30 years wisdom in the industry. We have tailored the intensive driving course in Taunton, Bridgwater and Yeovil to include all the key aspects of learning to drive and condensed them to get you passing your driving test in as little as 1-2 weeks! It doesn’t matter if you have never stepped into a car or have had driving lessons before we have an intensive driving course in the West Country idealy suited to you. The following benefits make an intensive driving course superior to the standard hourly driving lessons. Very fast pass rate – no messing around, you’ll be on the road quickly! The intensive driving courses in the Yeovil, Bridgwater and Taunton area are taken in blocks of half or full days, typically including 4-8 hours per day. This may sound like a hefty block, but time flies when you’re having fun. By learning in larger sessions we have found your driving improves quicker and information is retained better as it is practiced more frequently. Ultimately though, there is no pressure and the length of time is down to the individual learning. The box below describes what we include in intensive driving lessons for a complete beginner. It is based on three stages, each increasing in skill and difficulty. For those learners who have had previous experience the intensive course will be adapted specifically to their driving needs. Nothing is set in stone, and if more practice is needed in a certain area this will be done. 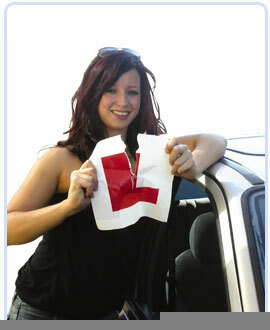 The beginners intensive driving courses in Taunton, Yeovil, Bridgwater and Somerset are only £695. This includes the practical driving and theory test fees, free pass plus modules and other benefits listed in the bullet points at the top of this page. The course is based on 3 full days of lessons, which we find is a great platform to get you driving test ready. If the learner has had previous driving lessons, the crash course will focus on those areas which need most improvement to get them ready for the driving test. The driving course will be tailored specifically for the learner driver’s requirements. It is best to call to discuss previous experience to get a good idea how many hours will be required. For a friendly chat or to book a course contact head office on 01202 751959 or 07929 661 714, or drop contact us and we’ll get back to you soon. Our intensive driving courses are available on areas shown in the map and include Yeovil, Taunton, Bridgwater, Western-super-Mare, Burnham-on-Sea, Shepton Mallet, Honiton, Chard, Lyme Regis, Blandford Forum, Frome, Trowbridge and all towns and villages in Dorset and Somerset.